Birthday Card Class this weekend! Who doesn’t want to have a bunch of great birthday cards on hand for when you need them? Be sure to join me Saturday at 1pm for my 5 Card Birthday class, where we’ll make 2 feminine, 1 masculine and 2 childrens cards together! December can be a busy month - full of shopping, entertaining, parties, preparations, and a whole host of other family traditions. And sometimes we can let it get too busy for things that we really want to do, like make our own holiday cards! People seem to use Christmas time as that one time of year to reach out to friends and family - some of whom they may not have heard from all year. However, if you want to send out handmade cards, you don’t have to do it at Christmas. Fall/Thanksgiving and the New Year are great opportunities to reach out to friends and family as well. Thanksgiving is also a season of gratitude, and what better way to celebrate the spirit of the season than by letting your friends and family know how much you appreciate them and their presence in your life? The Gently Falling stamp set (#123802 wood/#123804 clear) and the Spice Cake Designer Series Paper (#124003) can be paired beautifully with any greeting or sentiment for a card that will be enjoyed and treasured. And who knows - your card might even take center stage on the table on Thanksgiving Day! The New Year is often seen as a fresh start, and it’s the perfect opportunity to send cards out to loved ones, family, and friends to wish them the best in the coming year. The little girl in the Gift Givers stamp set (#123772 wood/#123774 clear) from the Holiday Mini is an adorable choice to bring your glad tidings. 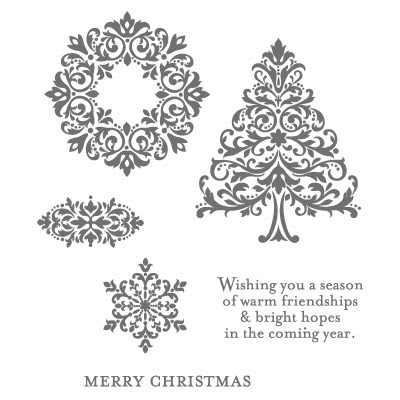 Or the snowflake image and the verse from the Bright Hopes stamp set (#122690 wood/#122692 clear), also from the Holiday Mini, can come together to bring those on your mailing list lots of good cheer. The other benefit of sending your cards at a different time is that the recipient will have something special to receive in the mail during a time when cards fewer and far between. So be inspired to create your own time of year when you’d like to reach out to everyone, and save yourself some stress and create more time to truly enjoy the month of December and the Christmas season! A Demonstrator Event you DON'T want to miss! Be sure to join us this Saturday evening from 5pm - 9:30pm for an amazing Demonstrator-Only event, open to ALL Canadian Demos! LOCATION: Royal Canadian Legion Hall, 9 Dawes Road, Toronto. 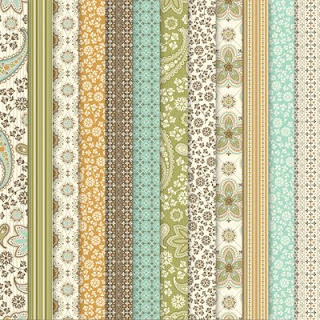 You'll have a chance to create projects using TOP-SECRET stamps and Big Shot dies from the upcoming 2012 Occasions Mini Catalogue as well as see great new samples made from them, direct from Founders Circle! Listen as I share the TOP 10 Business Shares I learned at the 2011 Founders Circle event - ideas that are geared to help boost your sales and business success! Take one of the BEST ideas I've ever picked up and IMPLEMENT it right away - I'm providing the materials necessary for you to make Sharon Armstrong's “Anywhere-Anytime CLASS KIT!" Connect with fellow demos as we do fun games and Ronald McDonald House service projects too! Cost is $25 and includes your dinner, dessert, beverages, specialty Make & Takes, 5 door prize tickets and more! Purchase your ticket online HERE or RSVP and pay at the door. Feel like shopping? Stop by at 'Palooza! We're hosting our Holiday Palooza this Saturday, and as always we'll have a boatload of retired stamp sets, accessories and other goodies for sale. If you can't join us for a day of amazing food, demonstrations and crafting, why not come anyway and pop by the sales table anytime between 1pm and 4pm to see what we have? This is your best chance to pick things up because anything not sold today gets bundled up for the Metro Convention Centre & Creativ Festival to be sold there! Now, if you ARE coming, wait until you see some of the awesome demos that have been planned, including working with Shrink Plastic & stamps to create jewelry, Lollies 101 (!!! ), Stenciling and decorating frames, Altering household items and MORE! Buy Two Simply Sent Kits - Get a Free Stamp! This month only, buy two Simply Sent Kits and get a FREE coordinating stamp set! Our Simply Sent Kits are the ideal choice for the beginning crafter. 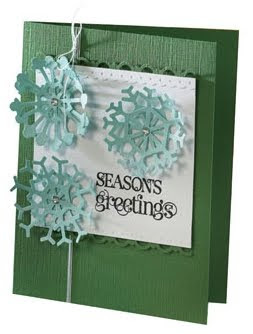 The card kits offer a variety of basic themes, so it's easy to create cards for any occasion. A Free Big Shot Machine for YOU! Now THIS is an offer to DIE for! October is the perfect time to order your customizable Starter Kit and join the Stampin' Up! family as a demonstrator - and get a FREE Big Shot machine as a bonus! Already have the Big Shot and don't need a 2nd one? 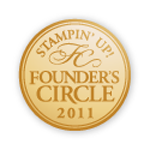 Not a problem: you can choose instead to get up to $125 in FREE Stampin' Up! products OF YOUR CHOICE!! In addition, the new demonstrator Starter Kits -- a steal at just $215 and NO TAXES or S&H -- contains over $425 worth of stamp sets, card stock, ink, accessories, and business supplies. A minimum 20 percent product discount! Regular get-togethers with our Canadians, INK! team to stamp! Don't miss this BIG deal! Contact me today to learn how you can take advantage of this great opportunity and get your FREE Big Shot or sign up online HERE! !